The Quadro RTX 4000 is already making an impression on the tech community with positive results and projected success. Print and web publications with years of industry involvement such as Develop 3D and Techgage are devoted to providing professionals the technical information they need. They, and others, are committed to their readership and focus on product and workflow enhancements, such as the Quadro RTX 4000, that improve productivity and creativity. Excitement and anticipation were everywhere at the NVIDIA GPU Technology Conference (GTC) 2019. GTC’s speaker roster reads like a who’s who in AI and deep learning. The expectation was high for NVIDIA CEO Jensen Huang to announce new industry-disruptive technologies during his keynote address. Last year it was the launch of NVIDIA RTX real-time ray tracing technology. 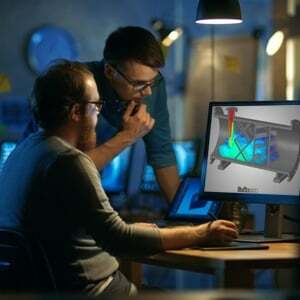 This year Jensen took it a step further with the introduction of NVIDIA- RTX-powered Data Science Workstations and expanded NVIDIA RTX Server offerings. The world is driven by innovation, and NVIDIA remains one of the largest contributors to the evolution of modern technology. With the advent of Industry 4.0, a world of possibilities never before considered becomes reality. Autonomous drones equipped with Deep Learning-enabled GPUs working alongside humans, “aware” of their surroundings. Vast amounts of data interpreted and quickly dissected to reach novel conclusions never before realized or inferred by human analysts that used to take days, months, or even years, saving time and resources, while delivering information vital to information age enterprises. 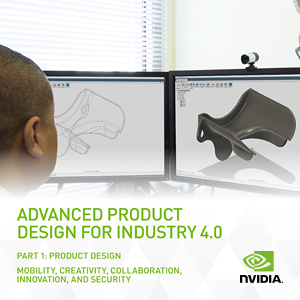 Among these many advancements, the possibilities NVIDIA and Industry 4.0 bring to Product Design will revolutionize the future. 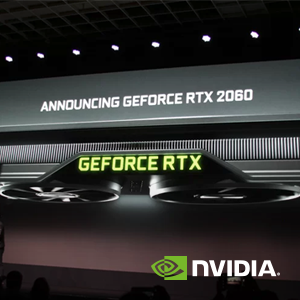 Jensen Huang, NVIDIA’s CEO, opened up CES on Sunday night by unveiling amazing new technology innovations during the NVIDIA Press Conference, including the GeForce RTX 2060 powered by NVIDIA’s Turing™ architecture. CES, the world’s biggest consumer technology trade show expects to host over 180,000 attendees from 150 countries during the four-day event. For over 50 years CES has served as the global arena where next-generation innovations and breakthrough technologies are introduced to the marketplace. Owned and produced by the Consumer Technology Association (CTA), it attracts the world's business leaders and pioneering thinkers. “Turing is NVIDIA’s most important innovation in computer graphics in more than a decade." Launched at SIGGRAPH 2018, NVIDIA’s Turing GPU Architecture features new RT Cores to accelerate ray tracing and Tensor Cores for AI functionality which, together for the first time, make realtime ray tracing possible. These two additions to the Turing architecture GPU — along with more powerful compute for simulation and enhanced rasterization — usher in a new generation of hybrid rendering to address the $250 billion visual effects industry. Hybrid rendering enables cinematic-quality interactive experiences, amazing new effects powered by RT Cores and AI (Deep Neural Networks) and fluid interactivity on highly complex models or scenes. 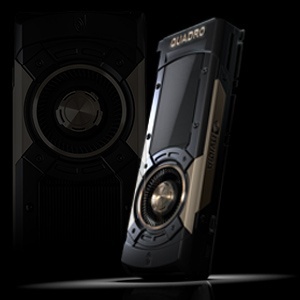 At the recent ESRI User Conference, the world’s premier GIS event in San Diego, ESRI users discovered why the NVIDIA Quadro GV100 is the perfect way to bring their GIS data to life. 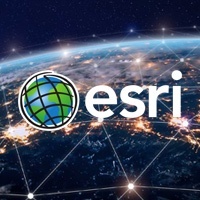 Attendees learned how ESRI takes advantage of Quadro GPU-accelerated deep learning on the ArchGis platform to streamline the creation of 3D content for mapping and analytics. 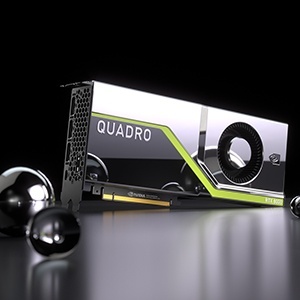 ANSYS' Discovery Live and NVIDIA Quadro delivers the first realtime design environment with simultaneous visualization and simulation. For a limited time, an in-box promotion with NVIDIA Quadro P4000, P5000, P6000 and GP100 professional graphics boards offer a 30-day trial and 20% off a yearly subscription. In case you missed it, Anthony J. Lockwood, Editor at Large for DE (Digital Engineering) just posted his Check it Out! 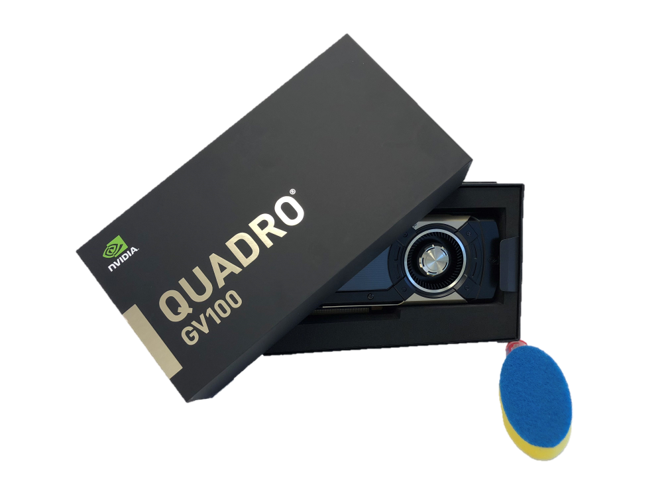 write up on the NVIDIA Quadro GV100. 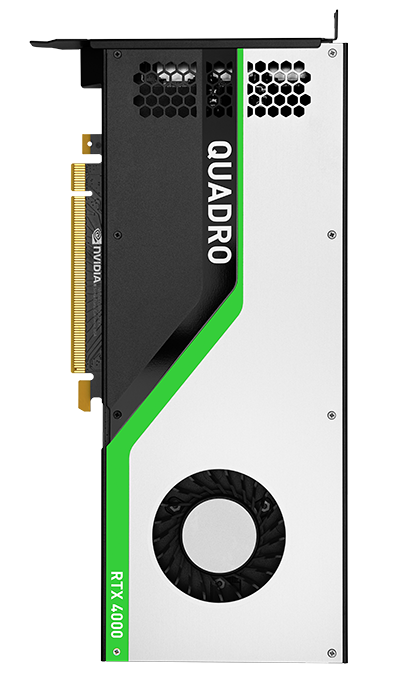 As Anthony points out NVIDIA’s flagship Quadro GPU really is a game-changer for workstations and HPC. With extensive experience in the film post-production industry Mike McCarthy knows what is required to support robust M&E workflows. After reviewing the 15" PREVAILPRO P4000 mobile workstation Mike concludes that it's one of the most powerful 15-inch laptops available, especially if your processing needs are GPU-intensive. "It supports 8K monitors... and does many media tasks just as fast as my desktop workstation. It seems like an ideal choice for a power user who needs strong graphics performance, but doesn't want to lug around a 17" monster of a system." One of the most common (and best) tips we give to customers is to make sure they are using the latest NVIDIA driver, but the second most common recommendation is to do a clean install of the latest driver. By requesting a clean install, the driver package will remove any previously installed files, which might be corrupted by system crashes or malware, and ensures that the OS has pristine and current driver files to work with.